I offer a variety of knitting classes for adults and children; descriptions of each are below. Weekly sessions to get help with your current project. 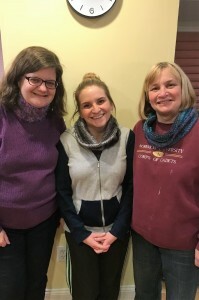 This small, informal clinic allows you to work at your own pace, get helpful advice, learn new skills, and share with other knitters. A great way to finish that project you put in your closet! During each clinic, I’ll showcase a knitting technique. For example, one week we might cover types of knitted ruffles; another week I’ll demonstrate a new cast-on method. Days of the week that clinics are offered vary each week but typically include one morning and one evening. Cost for the 2-hour clinic is $15. Fall and winter are the perfect times to learn to knit! This 4-week class will teach the basics of knitting (knit/purl stitch, casting on & off) while making a lovely hat or cowl for yourself or to give as a gift! If time permits, you could knit both. 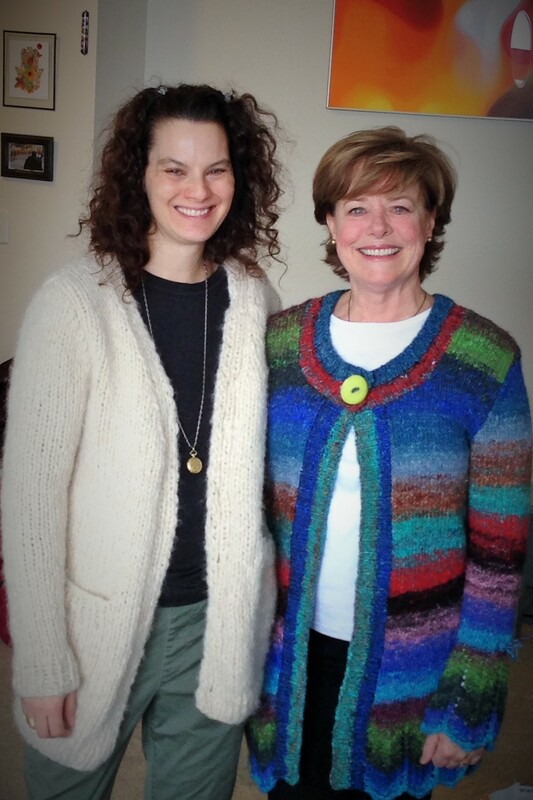 In this 6­ week class, Diane will help you knit a great ­fitting sweater using Amy Herzog’s CustomFit program. Learn to knit a sweater that fits YOUR measurements and YOUR gauge! I’ll start with an overview of Amy Herzog’s “Knit to Flatter”, provide expertise in selecting yarn/knitting the right swatch, and then help you choose a CustomFit sweater. Then it’s on to knitting details – the best cast­on/off for your project, shaping, picking up stitches, seaming, and blocking techniques. Depending upon the pattern you choose, an additional pattern fee of $10 or $12.50 will be payable to the instructor. Do you want to learn to knit but don’t have a lot of time? Then this class is perfect for you. Join Diane Johnson to learn this timeless craft. 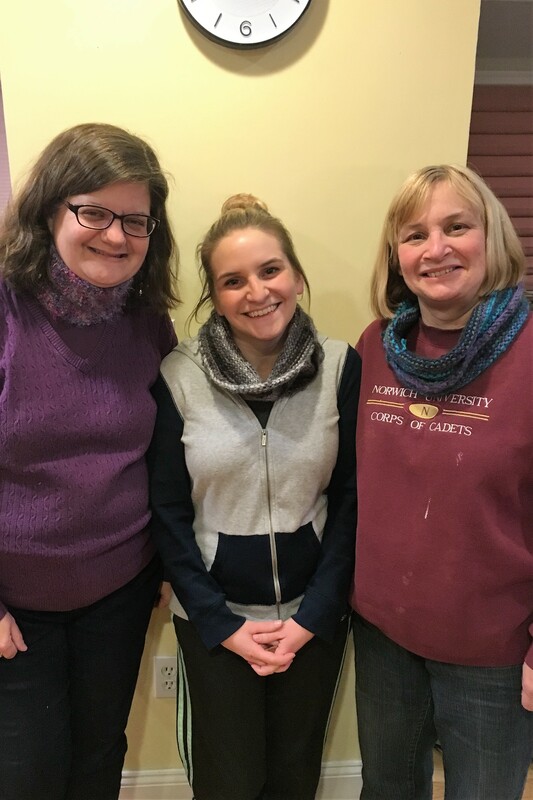 During the 4 weeks, she will teach you the basics of knitting (knit stitch, purl stitch, casting on and off) while making a lovely hat or cowl. If time permits, you could knit both. If you have just learned to knit or even if you have been knitting for a while, you know that fixing your mistakes in your knitting is really challenging and sometimes super frustrating! Learn basic techniques to help you fix your mistakes and possibly prevent them. We’ll discuss how to pick up dropped stitches, talk about ways to un-knit, and learn to recognize what’s gone wrong and how to fix it. You’ll gain confidence as we practice on swatches in class. Homework: using smooth worsted weight yarn (lighter color preferred) cast on 16 stitches. Knit stockinette stitch (knit 1 row, purl 1 row) for 2 inches. Private classes and parent-child classes are available. 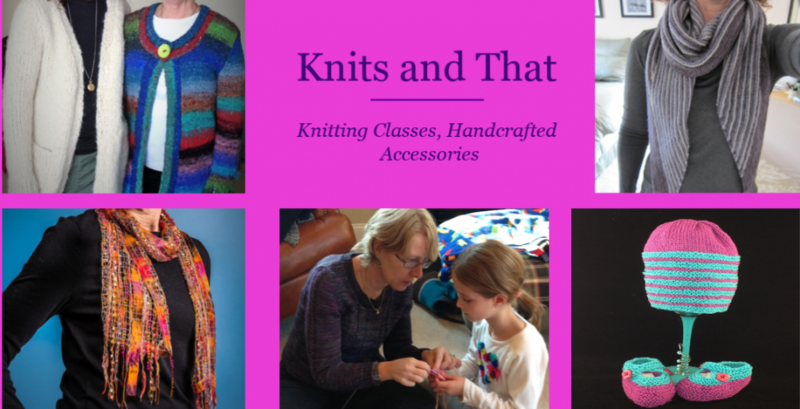 Contact info@knitsandthat.com or call 978-758-3756 for more information. Option 1: we’ll meet for a single 2-hour session. During that time, Diane will teach the kids the basics of knitting – cast on, cast off, knit stitch. $20 per child. Option 2: We’ll meet twice for 1.5 hours each. During the first meeting, we’ll focus on the basics of knitting and casting on, while making a small beanbag. All the kids will leave with their project started. At the second meeting, we’ll review everyone’s progress, learn casting off, and the sewing/finish work needed. $28 per child.